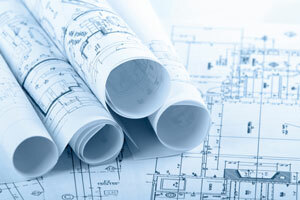 Welcome to buildingpermits.com.au, your one-stop-shop for all Building Permit requirements. Please take some time to browse through the many pages of useful information that we hope will go some way to helping you through the sometimes stressful and daunting task of interpreting building legislation, as well as dealing with relevant Councils and authorities. Our friendly team at Nicholson Wright understand that many people in Australia are excited by the prospect to build, alter, extend or improve their property. It is for this reason one of our main goals is to process your Building Permit application in a timely manner, so you can begin your project as soon as possible. We also offer a very competitive fee structure, to ensure your budget doesn't blow out before you even step on site. Nicholson Wright is one of the leading Building Surveying firms servicing metropolitan and country Victoria. No job is too far or too hard to get to, as we have a wide network of registered contract inspectors located all over the state. The Building Act 1993 and Building Regulations 2018 legislate that most building works, including alterations, demolitions and removals, require Building Permits in Victoria. A Building Permit will specify the stages where a Registered Building Surveyor is required to inspect the building works, when an Occupancy Permit is required or when a Certificate of Final Inspection is necessary upon completion of the building works. A Building Surveyor interprets all relevant building legislation. At Nicholson Wright, our Building Surveyors are experts on building legislation, technical codes and construction standards including the Building Code of Australia. Our Building Surveyors work together with engineers, architects and builders to ensure that your building project is designed and constructed to comply with the building legislation in Victoria. For more information on building permits, visit our FAQ. We have over 20 years experience in providing building inspections and professional consultations for Building Permits in Victoria. Obtain a Building Permit quote online or call us today. Read more about Building Permit requirements. 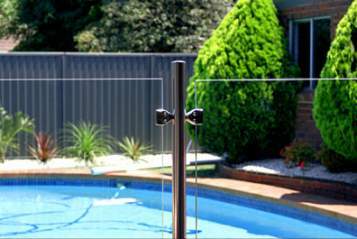 All new swimming pools are required to have a compliant pool safety barrier and plumbing system before use. Learn more about pool permits and safety regulations. Home Home About Us --Company Profile --Building Permit Costs & Fees --Projects Undertaken --Building Surveyors Victoria Permits --Building Permits ---Building Permit Process ---Building Permit Quote ---Occupancy Permit ---Certificate of Final Inspection --Shed Permits --Pergola Permit --Deck Permit --Garage & Carport Permit --Fence Building Permits --Retaining Wall Permits --Commercial Building Permits --Liquor Licensing in Victoria --Demolition Permit Pools --Pool Permits & Regulations --Swimming Pool Consultation --Pool & Spa FAQs --Pool Safety Links Owner Builder --Owner Builder Permits --Owner Builder Checklist --Owner Builder Steps Resources --Bushfire Attack Level --Planning Permits --Building Industry Links --Domestic Building Insurance --Building Permit FAQs --Sitemap Contact Us Blog --Who is the Building Surveyor? --Summer Pool Safety Tips --Why choose Nicholson Wright --How Much Does It Cost to Get a Building Permit? --Why is a building permit required?